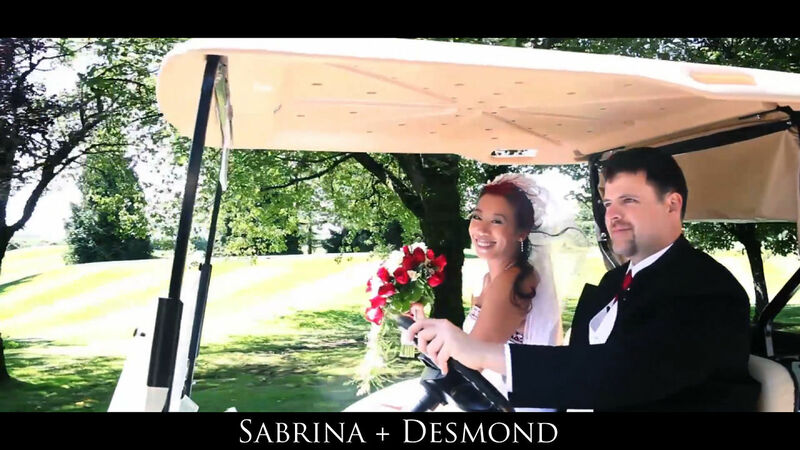 Wedding Cinematography Sabrina and Desmond Same Day Edit Video – Vancouver Wedding Videographer Life Studios Inc. When we first met Sabrina and Desmond, we knew right away that they were incredibly fun, playful and energetic. Life Studios Inc. wanted to make sure that the Wedding Cinematography Sabrina and Desmond Same Day Edit Video captured and conveyed that same sense of playfulness, excitement and happiness. We were lucky enough to capture their engagement shoot and wedding day in photo and video and we wanted all of these to really show their fun and awesome personalities! The morning started on a beautiful summer day and the guys rocked out on toy instruments in the street – U2 watch out! The guys were then subjected to drinking numerous questionable drinks, stuffing their mouths full with marshmallows and eating them and finally the worst of all – being waxed on the hairiest parts of their bodies. We must say that Desmond’s groomsman who had his chest waxed is a true friend! The lovely outdoor ceremony was held on the patio of the beautiful Swan-E-Set Bay Resort and Country Club while bubbles floated in the air during and after the ceremony, adding a whimsical feel to the ceremony. The reception which followed in the Grand Ballroom of Swan-E-Set Bay had pops of red everywhere, adding to the feeling of vibrancy, happiness and energy that was there throughout the whole day. We love how Desmond twirls his bride at the end! Sabrina and Desmond, you two are the perfect match of laughter and love and we wish you all the best! We hope you enjoyed the Wedding Cinematography Sabrina and Desmond Same Day Edit Video!